Living in Las Vegas right now is so dope! 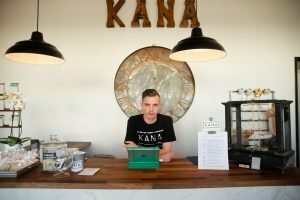 Every week something new and Cannabis related opens up and it surprises me every time how unique each place manages to be. 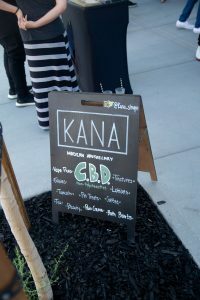 Recently we had the grand opening of a CBD and Hemp only store in downtown Las Vegas called Kana. This was so exciting because it is one of the only ones we have here in Vegas and they are educating the public in so many ways. I had a chance to sit down with the owner, Jessica, to chat about what this store is bringing to Vegas as well as the Cannabis industry. CM: Hey Jessica, thank you so much for spending some time with us to talk about your exciting new store right here in downtown Las Vegas! Before we dive into the store I would love to hear a little bit about you and how you became involved in the Cannabis industry. Jessica: Well, I am a Las Vegas local, born and raised. I was in the medical industry for 10 years before transitioning in 2016 to the Cannabis space. My husband, Paul, was in the military for 16 years and after a number of tours to the middle east and resulting injuries he ended up on A LOT of pharmaceutical medications. He was medically retired and began looking into alternative options, which led us down the Cannabis path. CM: Well you truly are helping impact the world in a positive way! Thus bringing us to your store, Kana. Will you tell us the main ideas behind this amazing store? Jessica: My business partner, Tim and I have a consulting company and quite a few of our clients are in the Cannabis space. 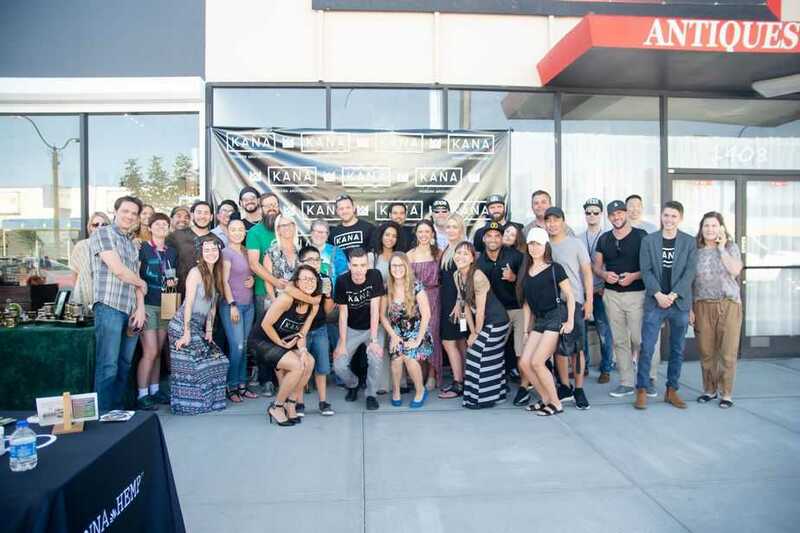 We got office space in Downtown and decided that we would use the retail front to open a nutritional shop that sells hemp based products and merchandise. Kana is about education. 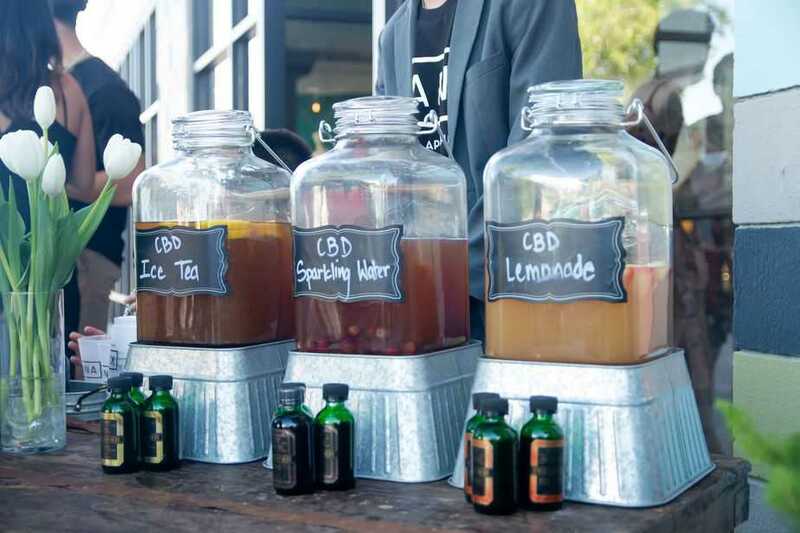 We feel very strongly that CBD can radically change the way we look at health and wellness in the United States. The hurdle is that Cannabis has a very negative social stigma and there’s not much being done on a federal level to change that. So, we embarked on this journey to educate our local community on hemp. Particularly the medicinal, agricultural, sustainable and industrial benefits. 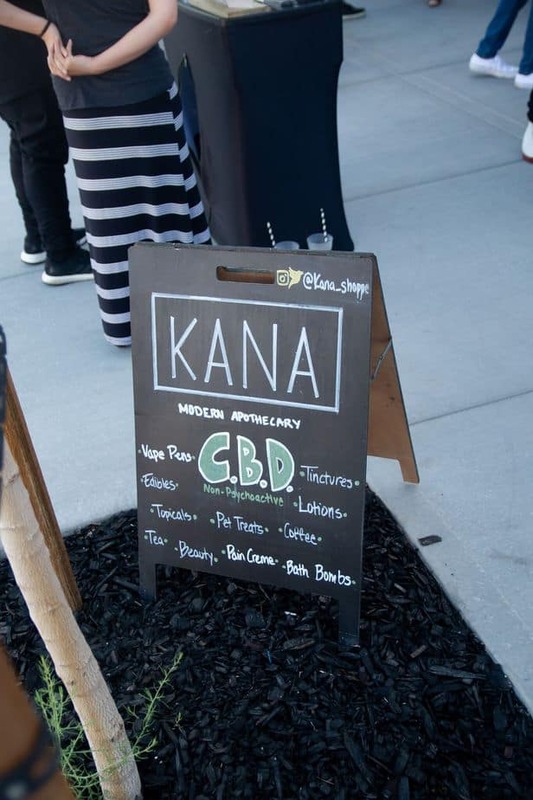 CM: I love that Kana is strictly CBD and Hemp products. I think one of the big misconceptions today is the difference between THC and CBD and how they effect you. Can you tell us the difference/significance as well as the need for a CBD only product? Jessica: It is so funny because there are hundreds of Cannabinoids found in the Cannabis plant, yet THC has given the entire plant a bad rep! Tetrahydrocannabinol (THC) is a Cannabinoid that works with certain receptors in your body and is most commonly known for the “high” effect it produces. Cannabidiol (CBD) works with your body in a way that does not produce any psychoactivity. Instead CBD is thought by many to promote more of a homeostasis effect. If you check out page 18 of the World Health Organization report on cannabidiol (CBD) they provide a list of things indicating that there is enough global research available supporting that cannabidiol helps. Given that, I think the question to ask here is: Since the W.H.O. regulates the International Classification of Disease and Morbidity (ICD); Why aren’t doctors reading these types of studies? If they are; why is the general population unaware of the overwhelming benefits of CBD? You have a substance that is non-psychoactive, has no adverse side effects and is not addictive. Why wouldn’t this be an option over something like opioids that causes physical and mental dependence and has a laundry list of side effects? As a side note for the medical practitioners reading this article; I will be happy to come to your facility or office and review this subject with you. At the end of the day, patient education is something that is part of the code of ethics that every medical practitioner subscribes to and there is legitimate research available – please take the time to educate yourself so you can better service your patient base. CM: Regardless of what people hear, there will still be some with reservations on trying CBD/Hemp products. What would you say to those people? Jessica: Wipe away everything that everyone has ever told you about Cannabis and do your own research. Check out the official studies by government organizations such as the New Zealand Government Ministry of Health, Swiss Agency for Therapeutic Products, Australian Department of Health, UK’s Medicine and Healthcare Regulatory Agency, and the list goes on and on. Please don’t even take my previous word for it – instead search out peer reviewed medical journals and antidotal patient reviews. CM: I couldn’t have said it better myself or agree with you more! 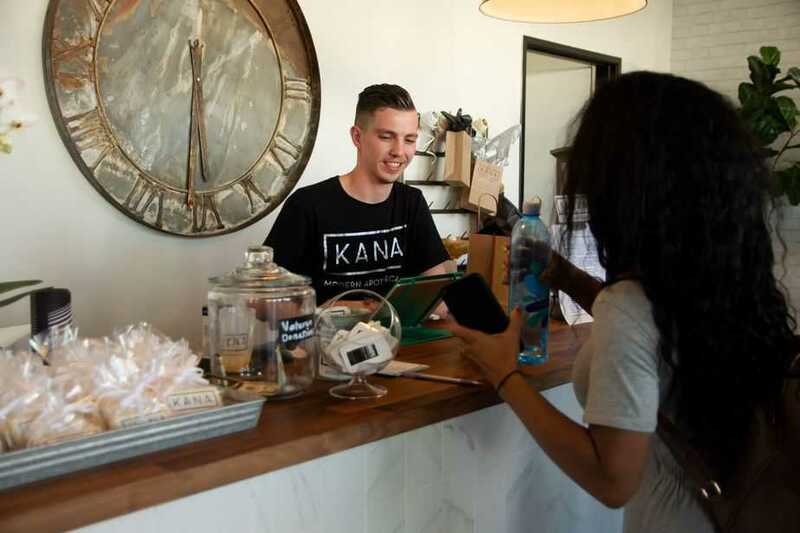 Okay so back to Kana, can you tell us what types of products you carry in your store? Also, do you have professionals on hand to recommend products to customers who come in and explain their symptoms? Jessica: The hemp products we carry are topicals, tinctures, bath products, facial products, edibles, suppositories and even pet products! 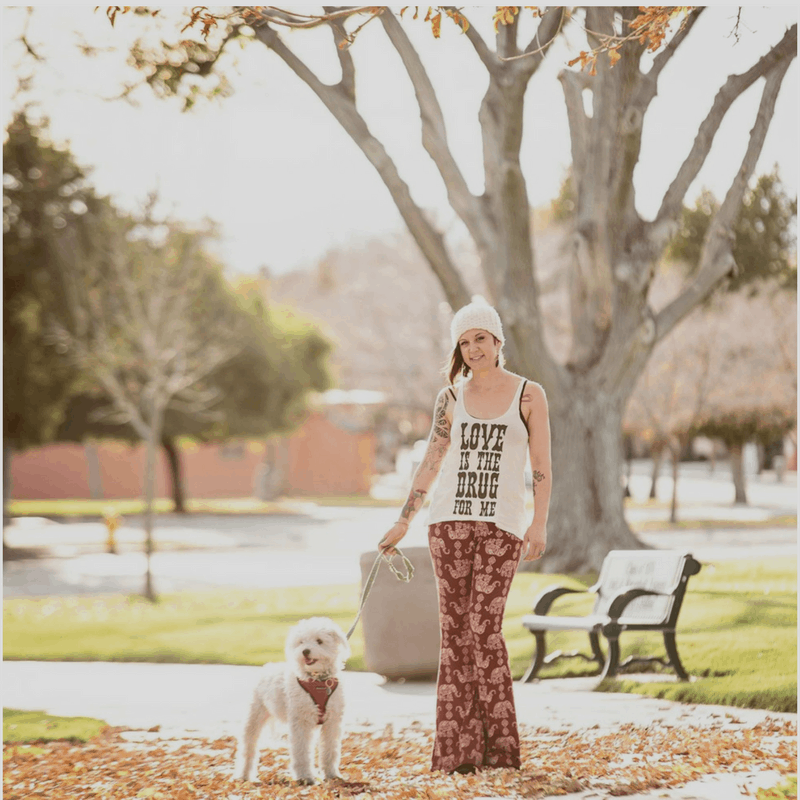 We also carry other hemp products like t-shirts, yoga mats, baseball caps, backpacks, etc. Hemp is an eco-friendly fiber that is anti-viral, anti- fungal, and anti-bacterial. If you have ever done Bikram yoga, you may understand why an anti-bacterial yoga mat will come in handy! As far as the professional recommendations, always! Our staff is very passionate about education. Part of the on-boarding process is to ready through a number of medical peer review journals. We want to educate the general population and that only happens if we, ourselves, are educated. CM: This is all so exciting, and I may have to pick up one of those yoga mats! I do want to touch on one other misconception; CBD/Hemp products versus prescription medication. Many people are completely unaware that Hemp products can help with many of the same issues as their pharmaceuticals do and in a much more natural, healthy and cheaper way. How would you propose we start education for doctors and patients? How do you think people would react to being educated on this as I feel there are still many people (doctors and patients alike) who are hesitant on suggesting Hemp as a method of healing. Jessica: Actually there are two FDA approved pharmaceutical grade Cannabinoids on the market: Dronabinol (AKA Marinol, Syndros) which is being used to treat nausea, vomiting, loss of weight/appetite and anorexia in patients with cancer and AIDS. The cost for dronabinol oral capsules is $255 for 150mg. This is about $1.70/per mg. When you have studies like these: from Australia with the conclusion that people using opioids for chronic pain report greater pain relief than when Cannabis in the treatment plan; California concluded that “people who used Cannabis used opioids less often.” It pushes the thought that there is a significant adverse relationship with Cannabis and opioid use. This effects the pharmaceutical companies’ bottom line. Proposal for education is two part: One – if you’re reading this and you’re interested in learning more, please reach out. Hemp needs more activists that are ready to arm themselves with facts and proceed into the world to share this information with sincerity and grace. Two – state mandated CMEs and CEUs for medical practitioners. If we educate the top of the medical industry, hopefully, it will trickle down to the rest of the population. (See the statement above from the World Health Organization). CM: This leads me right into my next question which is something you are truly passionate about. A hot topic is the amount of money that is being put into Big Pharma and the amount people pay for their prescriptions. Can you touch on this a tad bit more and shed light on the current situations; how much people could potentially save by switching to CBD/Hemp and how this could essentially open the door for more funding in other areas like education. Jessica: The United States population accounts for between 4-5% of the entire global population. However, we are responsible for 45% of the global pharmaceutical market which is valued at around $466B annually. In one of my previous questions, I highlighted the price point differentials between the pharmaceutical version of the Cannabinoids that are found in the Cannabis plant. The pharmaceutical mark up is egregious. I also believe this is the root cause of our insurance premiums going up and up and up. In my personal opinion, integrating cannabis into our daily routine and using THC/CBD as medicine can significantly impact the way we view healthcare. 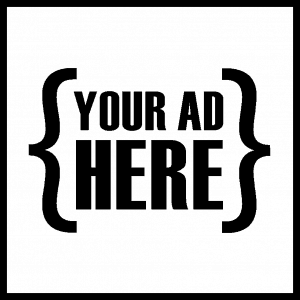 If it frees up some funds to be redirected towards education, that would be awesome to! CM: Yes, more money for education would be awesome! So back to you and your store for this one. 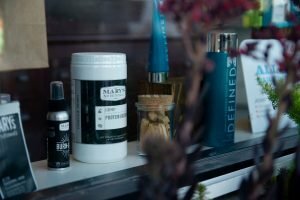 Do you feel you’ve encountered any obstacles in bringing this store into a reality that seem more prevalent within the Cannabis industry than in others you have perviously worked in? Jessica: Oh yes. Everything about the Cannabis space is more difficult than your average business. With that being said, we are blessed to be a part of the pioneer phase and excited to see how everything works out. CM: I am confident it is going to be amazing, you are doing phenomenal things! What are your long term goals with Kana? Where do you see yourself in five years? Jessica: Kana is our passion project that we work on in-between consulting projects. The long term plan is to become a well-trusted resource for those searching for medical help or needing guidance when searching for quality hemp based product. CM: Now, last but most assuredly not least, I must say the execution of how this store was put together is just wonderful! I am in love with the decor and set-up! What was your idea and inspiration behind this? Jessica: It was actually not my idea at all! I am more focused on curating the best inventory and educating my staff. Amy Lindner and my partner Tim Jennings are the brains behind the brand. Amy flew in from Florida to work with us on the layout and the design of the store. She has been especially instrumental in helping develop the logo, store design etc. If anyone else is interested in working with her, please reach out and we will help connect the dots. CM: Well it was executed beautifully! 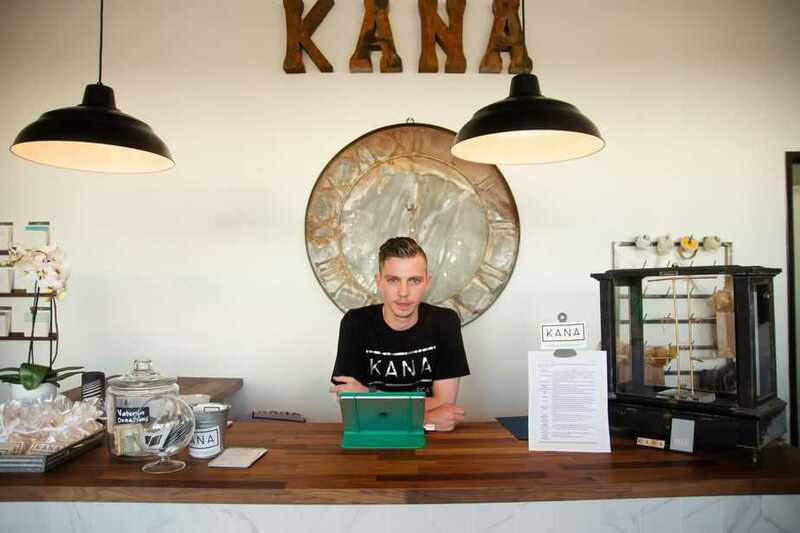 Thank you again Jessica, for hanging out with us for a bit today to talk about your new store Kana in downtown Las Vegas. If you haven’t been by it is a definite must!